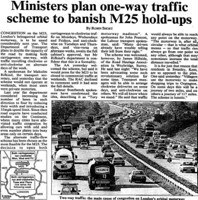 The One-Way Highway (1991) The London Times announced that the Department of Transport had finalized a plan to ease congestion on the M25, the circular highway surrounding London. The capacity of the road would be doubled by making the traffic on both carriageways travel in the same direction. On Mondays, Wednesdays, and Fridays the traffic would travel clockwise; while on Tuesdays and Thursdays it would travel anti-clockwise. The plan wouldn't operate on weekends. It was said that the scheme was almost certain to meet with the cabinet's approval, despite voices of protest coming from some quarters. 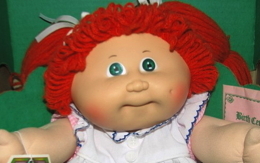 The Red-Foliaged Cabbage Patch Doll (1991) The Daily Star reported that a farmer named "Ivor Binhad" was making the equivalent of $2579 an hour in grants from the European Common Market under its crop diversification scheme. The crop he was growing went by the scientific name of brassica caulis pannus haedus, aka the "red-foliaged cabbage patch doll". 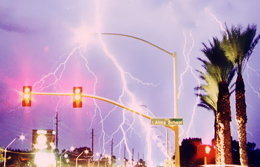 Electrostatic Power Surge Warning (1991) WAQY-FM morning disc jockey David Lee warned his listeners of an "electrostatic power surge" that would happen between 7:30 and 7:45 AM. He told them to protect themselves by unplugging appliances and taping up wall sockets with electrical tape. The local utility company received over 50 calls from people seeking to verify the warning, provoking it to send a letter of complaint to WAQY, calling the prank "beyond the bounds of having fun on April Fool's Day." It noted that one person had disconnected life-sustaining equipment "in order to avoid the consequences your announcer warned of." No charges were brought against the station because the FCC determined that it had broken no federal law. KISW Format Change (1991) KISW, a Seattle Rock radio station, changed its format to what it called 'classical rock' for a day, playing a selection of classical music and rock. It advertised itself as "Seattle's best mix of the 1600s, 1700s, 1800s and today." It also promised a no-repeat Monday, saying that "you won't hear the same sonata twice." The Daily Mirror reported that Professor Vogel Brayne, a "top genetics expert," had succeeded in crossing the genes of a monkey with those of a chicken, thereby creating a "chickpanzee," a tiny monkey-like animal covered in white down, which was shown hatching from an egg as two bewildered chickens looked on. The little chickpanzee, named Charlie, was said to have left the world of science "shell-shocked." The Rich People’s Liberation Front (1991) A group calling itself the Rich People's Liberation Front held a rally in front of the State House in Boston. 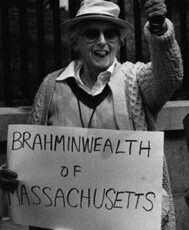 The group hailed the "Brahminwealth of Massachusetts" and chanted slogans such as, "Who needs day care —hire an au pair" and "the rich. . . united. . . have never been defeated." The group was supposedly rallying in support of Governor Weld's decision to veto a cut in Cabinet salaries as well as his decision to repeal a tax on services and cut local aid and social programs. Democrats Nominate George Bush (1991) NPR's Morning Edition reported the scoop that the Democrats planned to nominate George Herbert Walker Bush as the Democratic candidate for President — even though he would simultaneously be the Republican candidate. Since the Democrats held their convention first, one of them explained, "by the time the Republicans get to him he'll already be ours." Democrats were viewing the choice pragmatically as "a transition from idealism to realism." Rather than having to suffer under a president of the other party they didn't like, they could endure one of their own party they didn't like. 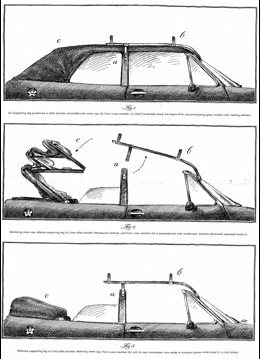 The VW Decomposable Roofrack (1991) Volkswagen ran an ad in the London Times promoting a car featuring a "decomposable roofrack." The tagline read, "It's not an April fool. It's a Volkswagen." Slow-Growing Grass (1991) The London Times reported that a gardener had succeeded in developing a variety of grass that grew only one inch a year, no matter how wet or dry the year was. The inventor of the seed was Clement Marchdone, a 73-year-old retired Essex seedsman living in Cutter's Green, near Chelmsford. Marchdone had also solved the problem of keeping stripes in a lawn because "when the grass starts to show, you go up and down with a roller; the grass will continue to grow in that direction forever." Stonehenge To Move (1991) The Daily Mail reported that on account of the "gradual slowing of the earth's rotation" the heel stone at Stonehenge had become out of line with the sun on Midsummer's Day. As a consequence there were plans afoot to dismantle the monument and re-assemble it "on another site of similar prominence." However, where to re-assemble it had become the source of controversy. The Ancient Society of Cosmologists wanted to re-assemble it on Mt. Snowdon. However, a Tokyo consortium had offered 484 billion yen to move it to Japan, saying it would "enhance Japan's status as the Land of the Rising Sun when re-sited on top of sacred Mount Fuji." 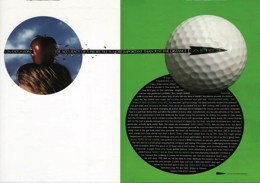 Most Accurate Golf Ball (1991) The Hoffman York & Compton ad firm released a mock ad for Aero, "the world's most accurate golf ball." "By shifting the center of mass away from the immediate core, we've created a projectile that reacts with gyroscopic action. Quite simply, this means that the spin on the ball is greatly enhanced from the moment of impact by the club. And that increased spin, just like a gyroscope, actually fights erratic flight. The results are remarkable." Queen Faces Challenger (1991) The Independent ran an article headlined "Queen faces challenge on her right to be monarch." It reported that a 65-year-old Welsh farmer, Arthur Wynd, had been identified as the illegitimate child of a forgotten son of the Queen's grandfather, King George V, thus making him the rightful heir to the British throne. Wynd was obtaining a court order to force the Queen to submit her DNA to genetic fingerprinting to prove his case. The article also noted that his mother had called him Wynd in the hope that people would call him "Mr. Wynd, sir." 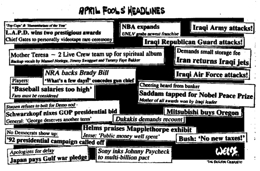 April Fool’s Day Headlines (1991) "Mother Teresa — 2 Live Crew team up for spiritual album"
"Saddam tapped for Nobel Peace Prize"
"'92 presidential campaign called off"